I remember being told having just a couple jackets in Chicago wouldn’t be enough, and I definitely believe that now. You actually need a palette of options for all the different weather combos. Indecisive weather? Sounds a little like Texas. Anyway, I have been set with my big puffer jacket this winter. Thankfully, it’s not that puffy, but I wanted a classy looking counterpart for trips or events. Not looking to sacrifice warmth, but still wanting to look good, ya know? Cue this camel colored beauty from JCrew. The coat meets all the requirements! Like I said, being warm was my main concern, but this jacket is actually 80% wool blend – aka it will do the job. It’s called the Stadium Wool Coat. The coat comes in a variety of colors, but i chose to get it in sandstone. Camel just sounds like a cuter color to me though, so I’m going with that. The texture is so soft, and still feels reliable. I love the gorgeous stitching and the gold zipper adds pretty detail. It’s actually a double zipper. I recently was taught that it’s so you can pull the bottom one up when sitting to bring your coat around, so you don’t have to get it dirty. Amazing! Still new to this whole winter thing, what can I say? 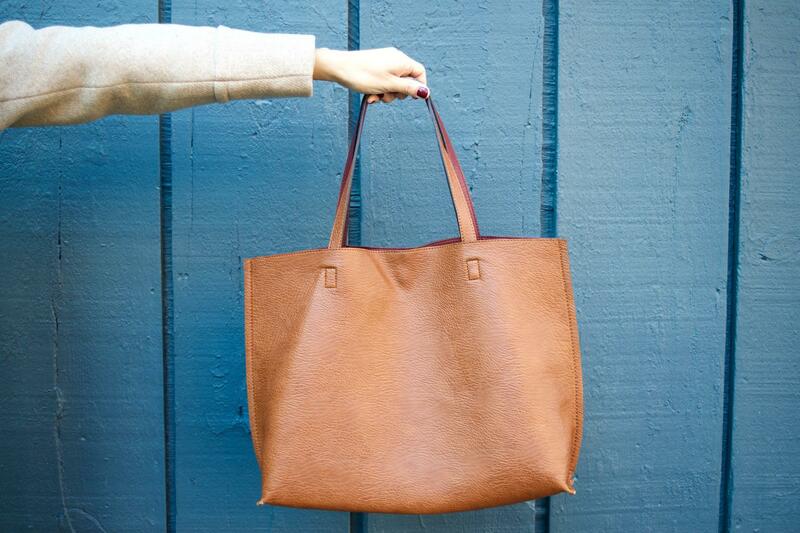 This reversible Nordstrom tote is the perfect work bag and transfers seamlessly into weekend errands. I can’t find the cranberry/cognac mix I have anymore, but two more beautiful options with this pretty brown found here. Forever 21 booties were such a steal last fall. Similar here and here. Give me alll the boots. Hope you’re staying cozy out there wherever you are, friends! What are some favorite fashion finds keeping you warm this season?? I just love that coat on you and love how you styled it love. Thank you so much for posting! I love this coat!! It’s perfect. Just want to let you know, your instagram icon link isn’t working! I keep getting a Page Not Found error. I love the this camel color. 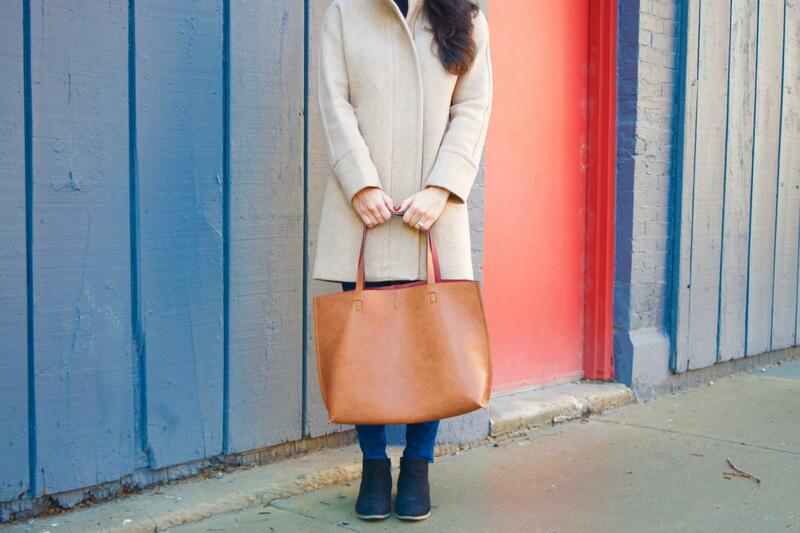 A. camel is such a classic color and B. J.Crew is always a WIN. You will wear this coat in 20 years and it will look as chic as it does now!! Thanks for sharing. I’m actually gonna look into that Nordstrom tote. My current bag is falling apart. 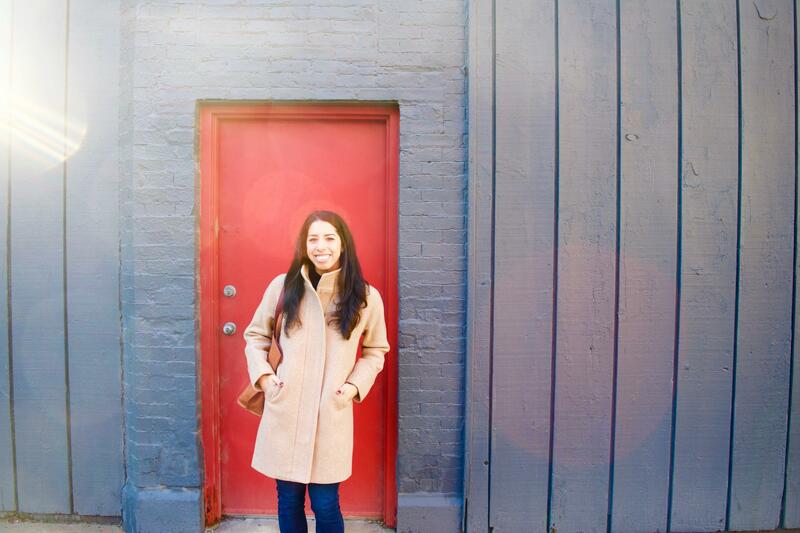 I love the JCrew coats! And they had SUCH good deals on them this year too. I have that bag and absolutely love it. Such a great deal for the price. 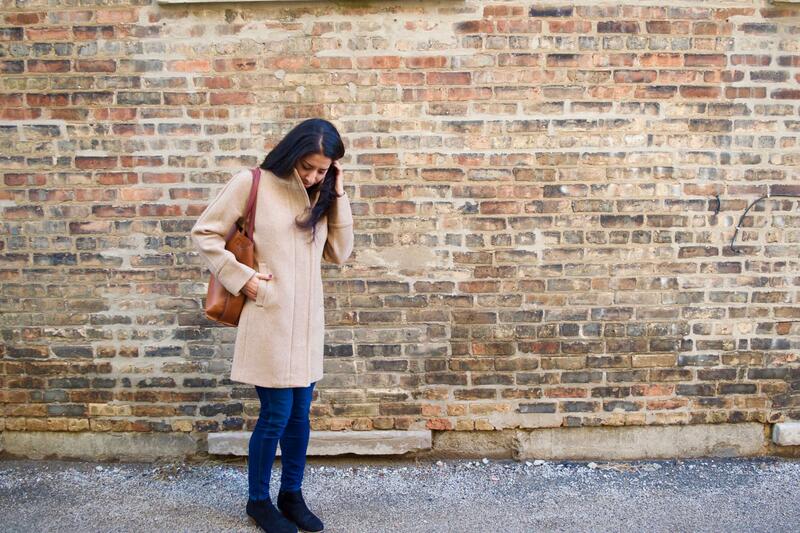 Love this brown coat! Its the perfect wardrobe essential for the cold weather season! Thanks for sharing! Really love the coat and color! You look super chic! 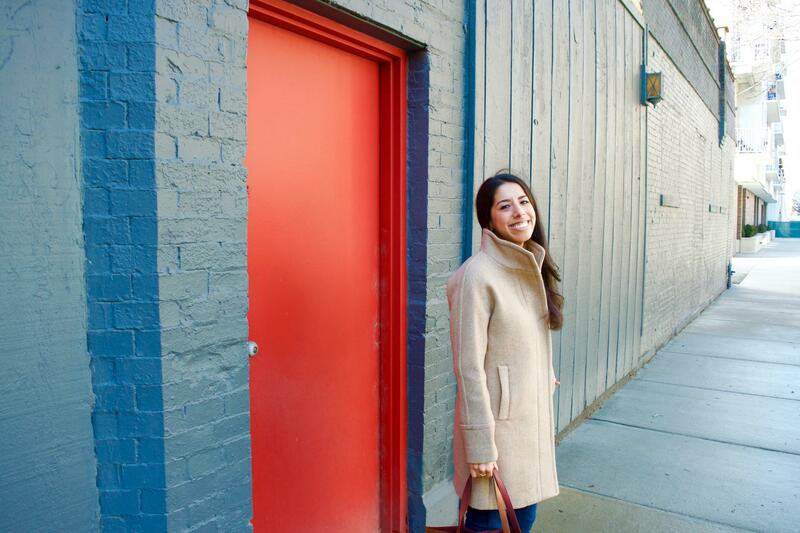 You are looking so classic, chic, and fabulous with that camel colored coat! Love the coat and neutrals here. Happy Monday babe! This coat is so gorgeous and classic! Love it!